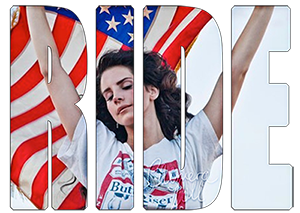 Fusing elements of electro, industrial and hip hop. I really like the Sins stuff. This album is pretty good. It has some distinct TBM sounds and interesting components but I think I will have to accept that the "Violet" and "Walking with Strangers" days are gone. Did the band reach their peak at that point? I'm not sure. I've been listening for years and have grown with this band. I suppose it would be different if I came onto the scene a few years ago but that is not the case. I understand trying new sounds and cleaning up vocals but I think TBM has become too polished. Some of the lyrics sound as if the only purpose was to make sure they rhymed with one another...not as passionate as the first three albums. This album is better than Pins and Needles was for sure but I just wish The Birthday Massacre would stop trying to break into mainstream by creating cleaned up tracks. Earlier albums sounded raw and passionate, not methodical and sing-songy. Even if the sound quality in earlier albums was not as good as later albums, I prefer that to overly "cleaned up" tracks. 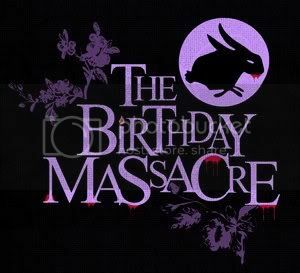 I'm sure this album will grow on me in some way...but I miss when I immediately connected with The Birthday Massacre's music instead of having to have their tracks grow on me. This is an honest review from a die heart fan. I am giving constructive criticism and am not about to say I love this album simply because it is new and from my favorite band. I am not suggesting they go back to the way they used to sound, I am merely suggesting they remember to stay true to themselves. Interesting review... I may be biased since Hide and Seek was the first TBM album I heard, but I think that album is brilliant. It's almost on the same level as Violet & Walking With Strangers and definitely better than Pins and Needles. Some good insight Ryo.... but they are who they are and they do what they do. If they were "trying" to be a band then they might stay the same and crank out the Violet formula..... but they don't. The learn and they grow and, like the rest of us, they age. You may have a point with the "polished" part of the equation but the more you do your recording (they do all the tracks in their apartment in Toronto) the better you get. They have done a lot of recording and they are better at it. If Low Fi was part of what you loved about them, then yes, that is gone from TBM. You have to remember that this band, like a lot of the great British bands of the 60's came out of a Fine Art program and it has never been anything other than an artistic endeavor since then. It is kind of interesting to read how some people wish they would stay the same and others wish they would change! Everyone has their opinion, and that is OK... but the artist/creator doesn't listen to everyone else... they follow their own path. What might interest you to know is that Play With Fire was actually added from a side project that Rainbow is doing with someone else! To me it has more of the older vibe you are talking about and I like to think that Rainbow is "stretching" some more and that side album will be ready to go in the spring I think. He is doing the singing on it. The band is on Facebook as they all are individually so I urge you, if you like what they do then "friend" them and get to know them better. They are great people and I think that they are creating a body of work that will be impressive for decades to come. Cheers. This is really interesting. It's true, their songs don't sound as "raw" or "unpolished" as they did back in the Violet days (not to mention Nothing and Nowhere). I do kinda miss that sound because it gave their songs this sort of mysterious/eerie sound that really attracted me to them in the first place. However, I really like the full-bodied and well-developed sound that they have started to grow into as well. I just want to say that this is my favorite album...I think. It's too hard to choose with it being TBM! Since we're on the topic, I wonder if there are any unfinished tracks or B-Sides from Hide and Seek. Think; Forever, Burn Away, etc. I would love to hear them if they exist. After getting to love hide and seek and me being impatient for their new album I added , forever, burn away, shiver and left behind to the version I listen to and placed them in a good order to not mess up the flow. The version works really well although I do appreciate how hide and seek flows so well even if it is short it is an amazing complete album. Okay, so, uhm...I wonder what ever happened to Rainbow's side project? Is it still in the works? I hope so.